The wedding cake was not a mandatory item in every marriage, but if you choose to have your wedding cake at the party. 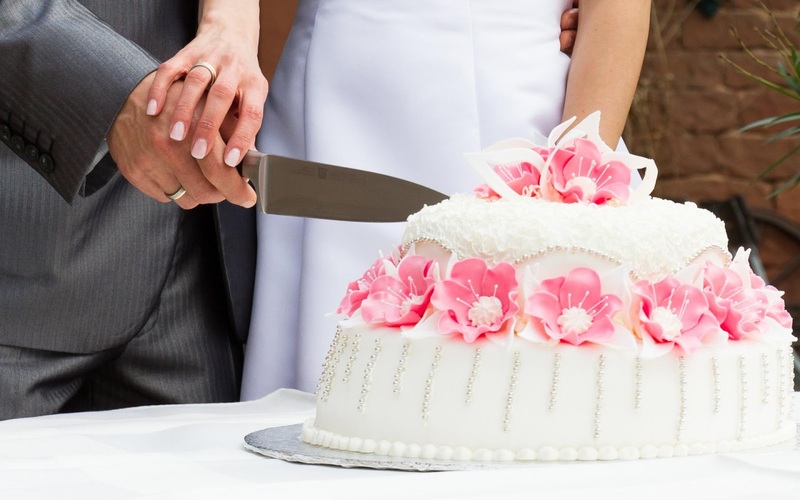 There are some tips on how to choose a wedding cake you should know! What are these tips? There are many types of shapes, styles and colors of wedding cake. Starting from the box, round, vintage and other styles. So make sure you know what you want. You also have to consider other things such as high-ceiling room also the time of implementation. If indeed you get married in a room that has a ceiling is not very high, ignore the wishes of having a cake as high as 13 tiers. Nothing is important, but your cake might stick up hit a ceiling. Budget, of course it is no less important element in determining the type of wedding cake. The bigger the cake is chosen, of course, the more expensive the price of the cake. As well as decorations the more complicated decoration you choose, the more expensive the price of the cake. To work around this, you can order a fake cake is usually made of stereo foam and subsequently ordered an original cake of number of guests who will be given. Begin to make an appointment with a cake vendor that you want. Few tips, if you want a discounted price, you had better come to the vendor while there is a wedding ceremony exhibition. Usually they will give special discounts. By the way, do not forget to bring a sample photo of scenery and the sample color of wedding dress so that the vendor can help matching the color and the style of the cake with the overall theme of your wedding. Although most guests, who come just to see the shape of the cake from the outside, do not forget that your close family will eat the cake. So make sure its taste was delicious! Even better if you choose the taste is "safe" and liked by many people for example chocolate or vanilla. Well, roughly it is what you should do on tips how to choose a wedding cake! Is there any thought or ideas should be considered? Share in the comment section below. Interesting reading at what finger does a promise ring go on?